Lou Bruce played his colleg ball at Queen's then went on to play five seasons from 1956 to 1960 with the Ottawa Rough Riders. Bruce played both offensive and defensive end, but was mainly used on the defensive side of the ball. 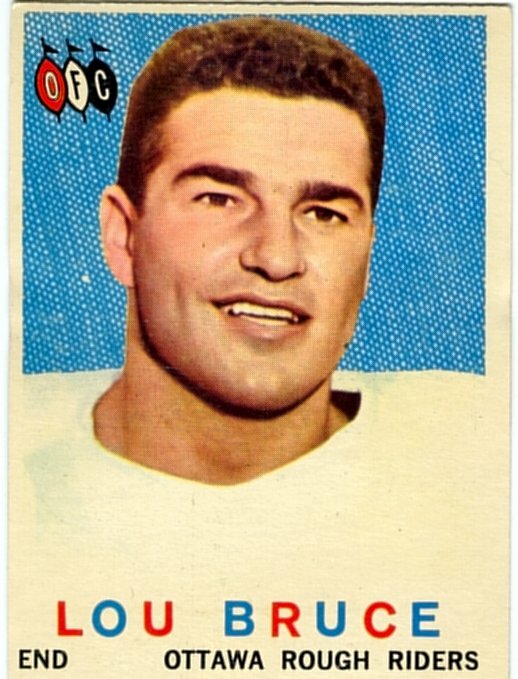 Bruce won an East All-Star at defensive end in his final season in 1960. Bruce is listed on the Ottawa all-time roster for 1960, but he doesn't show up in the game participation stats which were kept officialy for the first time that year. Bruce is listed in the CFL Facts & Figures as an East All-Star in 1960.